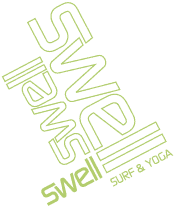 Swell provides active surf holidays with quality accommodation, healthy food and a unique friendly social vibe between staff and guests in the cool tropical surf town of Cabarete. For 5 years in a row Swell has been voted the best surf & yoga retreat in Central America. Swell provides great food, comfortable beds in stylish rooms; but one of the most important aspects of staying at Swell is the friendly, welcoming & social vibe between guests and staff. 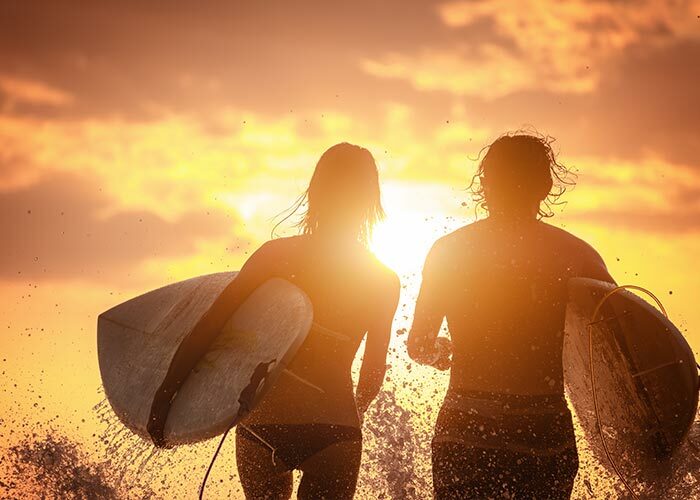 Join us for an active surf holiday! A social place with good vibes! Swell is ideal for solo travelers, meet like minded people on your active holiday. One of the only purpose built surf camps in the world! Teaching people how to surf is what we specialise in here at Swell. We have qualified surf instructors that can teach the sport of surfing in a safe, fun and quick manner. The surf spot where we teach is an ideal place for your first rides as a surfer. The waves on the inside are mellow and the water is about chest deep. There are no dangerous rips, currents or sea creatures here. There are many places around the world that are great for advanced and expert surfers, but not all great surfing spots are ideal for learning to surf. Where we teach at Playa Encuentro, just a few miles west of Cabarete truly is an amazing spot for learning how to surf. For more information on our learn to surf program, have a look at this page. Clare and Jeroen were already familiar with surf retreats, resorts and surf camps in many different countries and having had to stay in some very ordinary surf hotel accommodation in their quest for great surfing waves, they knew that there was something missing in the surf market; a place which was still social, but offering better quality accommodation, great food, nicer beds, cleaner rooms: A stylish, luxury surf retreat. They set about designing the kind of place they would want to stay in themselves. So they hired a renowned Swiss architect for one purpose: to come up with the world’s first purpose-built, luxury surf retreat/ resort.